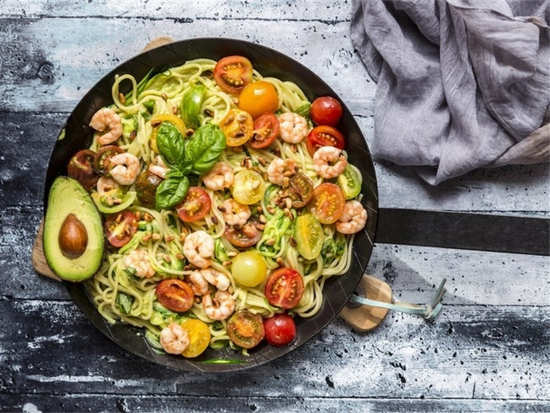 HomeLifestyleIs the Keto diet an effective way to lose weight? Is the Keto diet an effective way to lose weight? The Keto diet is probably 2018's biggest fad when it comes to weight loss. Have you tried the diet out yourself? From being celeb-approved to being a diet that's literally taken over the Internet this year, the Keto diet can be credited with being 2018's biggest fad, especially when it comes to weight loss. Keto is basically a short form of Ketosis. It is the process the body goes through when it has to produce energy through the fat in the body. Your body will get used to producing energy from fats a few days into this diet and this will enable weight loss. If studies are to be believed, it is an effective way to lose weight for obese people. 1. It increases energy: Even after cutting back on some food products, the Keto diet can still boost your energy supply. 2. It will reduce your appetite: After eating fats for most of your meals, you tend to lose your appetite and that's because these food have a tendency to satisfy your hunger for longer periods of time. 3. It will help maintain blood sugar levels: Since your sugar and carbohydrates intake will be low, it will help maintain your blood sugar levels. 4. It will help combat PCOS: For some people dealing with PCOS, one thing that is bothering is the weight. This diet drastically reduces the weight and this will help negate the effects of PCOS on your body. However, while there are several benefits to the diet, there are negatives to it too. They include leg cramps, constipation, diarrhoea, frequent urination, weakness, thirst, cravings and heart palpitations. It is important to note that your body can take time to get used to the diet and the benefits and negatives depend from person to person. 1Is the Keto diet an effective way to lose weight? 4High blood pressure: Can tooth loss in older women lead to hypertension? 5Can depression be treated by stimulating one brain area? 8Is alcohol the solution to weight loss in adults with diabetes?